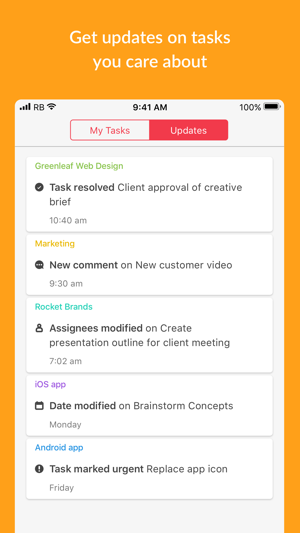 Redbooth is an easy to use project management software available for teams to stay organized and get work done. 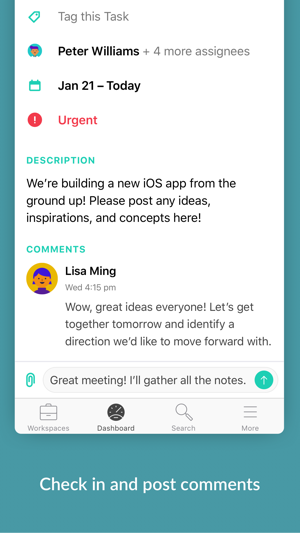 Redbooth allows teams to manage an unlimited number of projects in collaborative workspaces that combine tasks, files and feedback into a centralized, searchable, and in-sync experience; it is the perfect workflow management system! Redbooth teams are more productive because they can easily work together on their favorite device or platform. In the age of mobile, it’s very important for me to be able to take off notifications and simple tasks in between travel, meetings, appointments, and anything else that life throws at me. This mobile app has come a very long way from its predecessors. I can actually get 50 to 65% of my daily Monday and tasks done on the mobile device. A few of the main things that are still not addressed that need to be addressed I have submitted support tickets for but have yet to come to fruition. 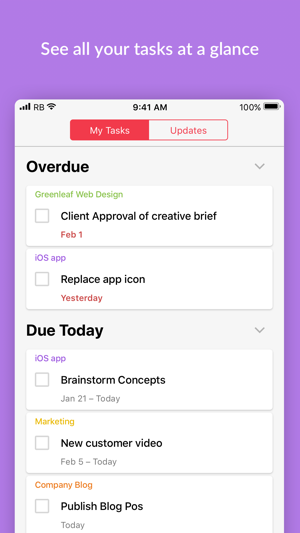 The ones that come to mind are being able to add multiple persons two tasks from the mobile device, being able to switch a task from one workspace to another workspace. Overall I’m very happy with this tool and I use it every day. Thank you very much to the Redbooth development team for making it smooth and easy to use. I loved Redbooth in the beginning, but with every update, they change something so drastic that I have to essentially relearn things or change the way I’ve set up my workflow. 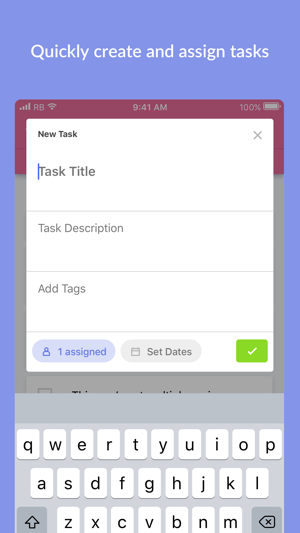 Mostly, they remove the things that I loved in the beginning, such as seeing the timelines and dates from the main page of my tasks (the most recent update means I have to click on each individual task to see what it is due, which means I can’t track my team as easily). 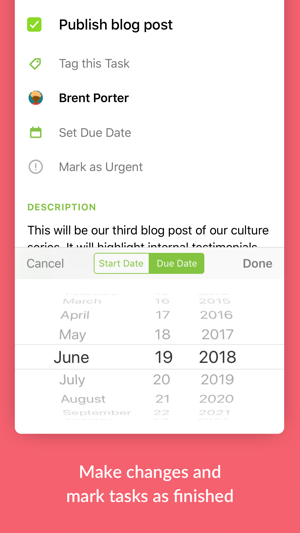 Or being able to set a begin and end date with my project templates in the desktop version (the current update means that I can only use a template if the project starts that day, rather than in the future). It’s intensely frustrating and I’m leaning towards trying other programs. I have tried just about every tool. Asana is far to large, Jira is too complex, Trello is too simple, and so on. I have never been able to just use the tool and actually get things done. Then I found RedBooth, and felt like I was home. I am not sure that I could tell you exactly why it just fits for me, but the best description I can give you is that its as easy to use and free flowing as Trello, while having the only features I really need from the larger more complex tools. It’s that middle ground that just does what I need. Beyond all of that, they are rolling out good updates very fast. The company has been great to work with and support is very responsive. The App is not as good as the Desktop/Web version yet, but it is catching up fast. And I really want the web version for most things anyways. The App does what I need when I am remote or on-the-go. With constant updates, I am sure it will catch up quick.